The new Rogue One prequel series starring Diego Luna, reprising his role as Cassian Andor from the film, has found its showrunner, according to a new report from Deadline. The report claims that Stephen Schiff, who most recently served as executive producer on the FX series The Americans. The series will debut on the upcoming Disney+ streaming service, which the company is launching sometime in 2019. Deadline also reports that the pilot and "series bible" was written by Moana screenwriter Jared Bush. Schiff's other credits include the films True Crime (1999), The Deep End of the Ocean (1999), Wall Street: Money Never Sleeps (2010), and several episodes of the TV Show Ultimate Rush (2011-2015). 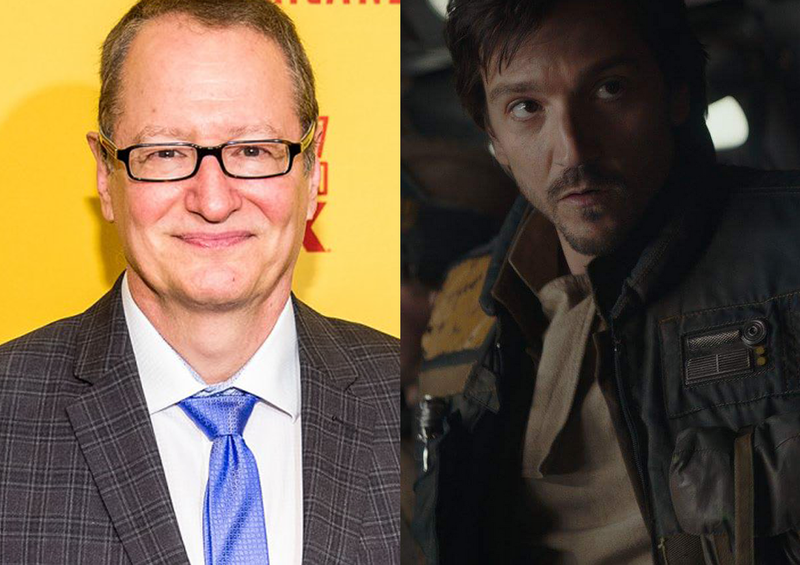 The Cassian series was called a "rousing spy thriller" in the official announcement, so bringing in someone who worked on The Americans, on of the most successful spy series of recent years is an exciting development. No release date for the series, which is expected to begin filming next year. The Cassian series was the second live action Star Wars series, and third overall, to be announced for Disney+, with The Mandalorian from writer/executive producer Jon Favreau, and the revival of the beloved animated series Star Wars: The Clone Wars also slated to debut on the streaming service.